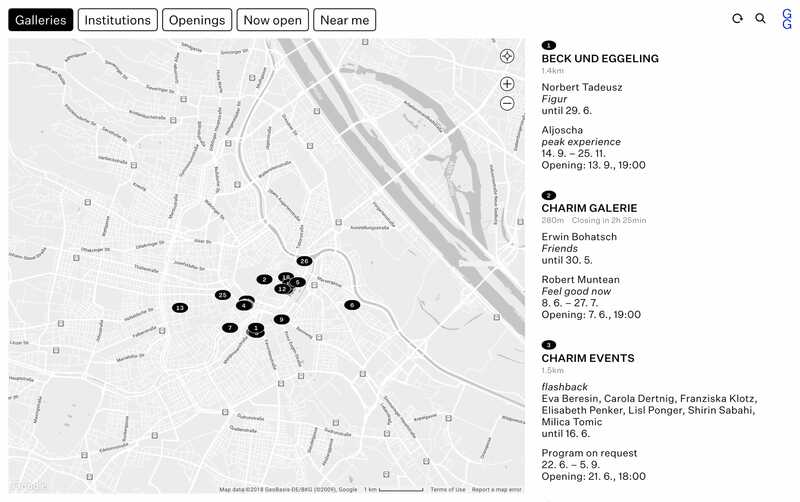 One Pager for Gallery Guide Vienna – a guide to galleries and art institutions in Vienna. What an awesome touch mimicking the opening of an event guide/brochure as the website preloader. An extensive guide to selected galleries and art institutions in Vienna.